Summer is the time we typically pull out those books unread during the rest of the year for a lack of time. However, this year, let me suggest an alternative consideration – register for an open online course. Everyone except the hyper-Luddites of the world accept that online education can be a quality alternative to the traditional bricks and mortar approach. 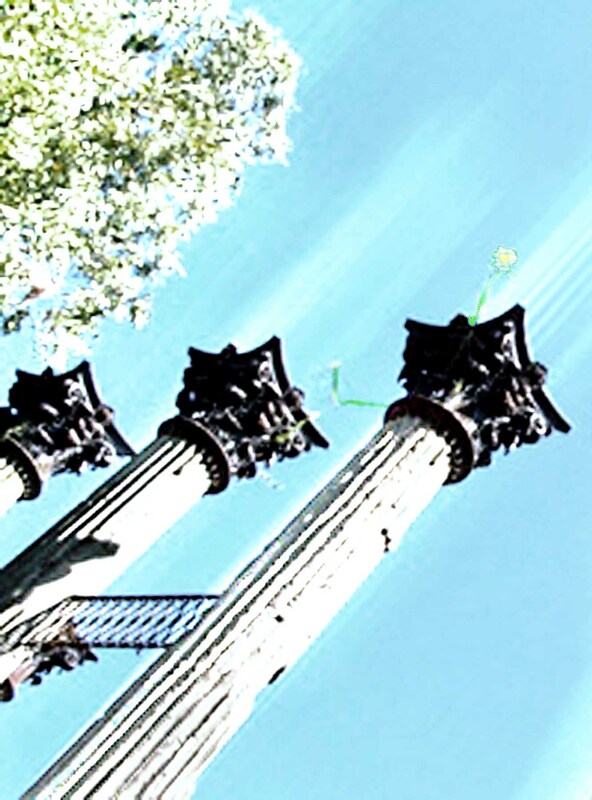 At the University of Memphis, the History Department’s online M.A. program is an excellent example a quality online offering. Within my own disciplines of Museum Studies and Applied Anthropology institutions such as Johns Hopkins, the University of Leicester, the University of North Texas, and the University of Oklahoma have demonstrated the potential of online graduate programs. But what about all of those “free” online higher education options that are now cropping up? There is iTunes U which at this point is primarily a one-way lecture based experience. Then there are the newer breed of open source free online courses that are completely interactive. Jennifer Carey blogs quite a bit about new online resources, such as the edX ventures by Harvard and MIT that will offer extensive open online courses, along with current offerings from Yale, Stanford and iTunes U. The Do It Yourself Scholar blog is a great source for keeping up on this discussion. Check Dara’s Best Free Courses and Lectures link a the site. I have registered for several courses through coursera.org a consortium of Stanford, Princeton, the University of Michigan, and the University of Pennsylvania. The courses I registered for range in length from 5 to 12 weeks and have staggered starting dates from May through September. The coursera offerings cover a subject spectrum including mathematics, health care, computer science, the humanities and social sciences. I registered for a 6-week Intro to Statistics course as I still consider myself more-or-less a mathematical illiterate and need to get beyond means, medians and standard deviations in my work; Listening to World Music because I am intrigued by how the course might prove useful in thinking about our Drumming Across Cultures Program at the C.H. Nash Museum; and a social media course because I am fascinated by this work. I also enrolled in the course Human Computer Interaction because the description seems like a good way for me to think about prototyping and evaluating museum and visitor interactions that we are moving into at Chucalissa. The course is taught by Scott Klemmer an Associate Professor in Computer Science at Stanford and consists of video lectures, assignments, quizzes and discussion forums. I will receive a grade for the course but no credit hours from Stanford. I am one week into the course and totally engaged. The lectures are interesting. I take notes. The quizzes are basic. The assignments are real, require effort, but the learning payoff is fantastic. To succeed in the course, I estimate that my weekly input will need to be about 4-5 hours. The course seems to be set at an upper class undergraduate level and will give me a platform for a solid introduction to an area of interest that will be applicable to my daily work. It’s irrelevant to me whether I have a degree to show that I successfully completed the course. However, the edX offerings envisioned by Harvard and MIT will offer certificates of completion for those needing documentation. I am confident that these courses will continue to expand. In conversation the other day with a Doubting Thomas about coursera.org, he asked – What is the business model for this? My immediate one word response was – Relevance. Besides a shift from the bricks and mortar approach to education, open online courses are a way for higher education to be relevant to the public who through their tax dollars provide support. This approach seems to be an outstanding demonstration of community outreach. Naysayers will focus on all of things that open online courses are not. Unfortunately, they will miss the opportunities that open online courses bring to the table. Think of this. You have a 45-minute commute to work each day. You are interested in Anthropology. You go to iTunes U and find that you can listen to the 28-lecture course offered by Terrence W. Deacon’s at Berkeley. How can that not be a good and great thing? How can we apply the open online approach to our museums and cultural heritage institutions today? A GLAM promotional flyer distributed at the session cites articles in The Chronicle of Philanthropy that report on the work of Smithsonian Wikipedian in Residence Sarah Stierch, an article in the The Atlantic on National Archive Wikipedian in Residence Dominic McDevitt-Parks, and a New York Times piece on Wikipedia in the British Museum. A monthly GLAM newsletter demonstrates the international, albeit western, scope of the GLAM Initiative. So what does all of this mean for enhancing either the visitor experience in museums or outreach beyond an institutions walls. The Children’s Museum of Indianapolis has been in the forefront in the U.S. in employing QR codes, videos, and other tools to access Wikipedia-based information in multiple languages on museum objects. New York’s Museum of Modern Art (MoMA) Wikipedia page provides an example of the extensive museum-based on-line information. Visit the MoMA Wikipedia entry for Van Gogh’s Starry Night to see the potential of information exchange. Perhaps to best visualize the potential, check this page from the National Archives that lists the over 100,000 images in queue for loading to a WikiCommons site. Impressive as well are the number of images categorized to date by the public. The editathon concept is used to check and upgrade the accuracy of Wikipedia entries. An example of an editathon in New York City is found here or at the British Library here. The GLAM initiative is a prime example of how Wikipedia and user-generated content continues to move front and center as a mainline information resource. Today, those wringing their hands over user-generated content with the dire warnings of the Cult of the Amateur hold as much weight as those who argue if we had been meant to fly we would have been born with wings. End of story. In other web-based offerings, this week Jennifer Carey at Indiana Jenn posted about Stanford’s new Orbis Geospatial Network Model of the Roman World. Check this one out for certain – a very impressive tool for modeling exchange networks and travel in antiquity. Such an application to model exchange in Eastern North America from the Archaic period to Contact would be incredibly useful. Given the pace of online resource development, I suspect that a North American prehistory edition of Orbis is not a long way off. Jennifer also links to the new Edx project where this fall Harvard and MIT will partner to offer free online courses where you can get a grade, but not a degree – not yet anyway. What are your favorite new online research tools? 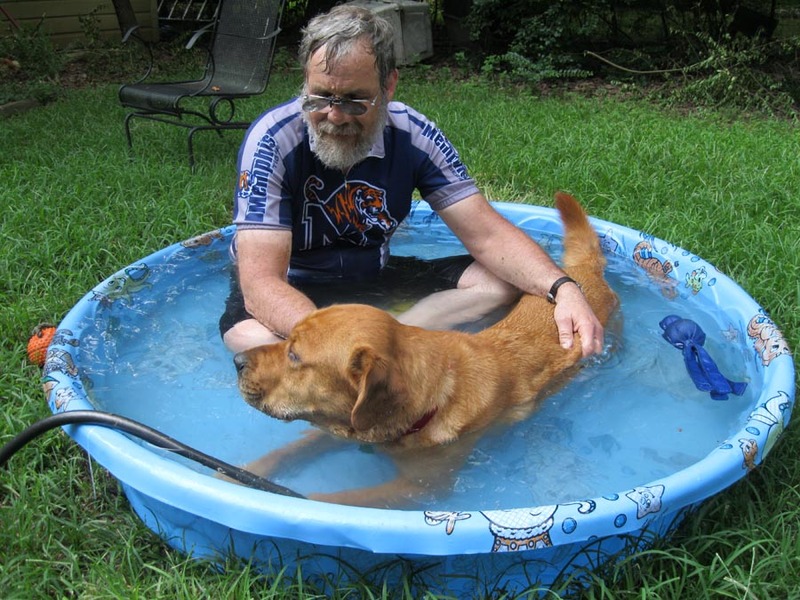 My buddy Buddy and me relaxing pool side after a hard ride. This is blog post number 101 to Archaeology, Museums and Outreach. My initial intent for the blog, as reflected in my first post in December of 2009, was to offer a platform for discussing innovations and experiences in public outreach around cultural heritage. That intent came after attending a session on community outreach at the Southeastern Archaeological Conference in November of 2009. Many of the session participants expressed dissatisfaction with the lack of professional support given to the subject. I viewed this blog as a response to that concern for like-minded individuals to exchange ideas. For better or worse, Archaeology, Museums and Outreach seems to fill a niche. There are lots of websites that promote an individual institution’s archaeological outreach projects. However, there are few others, if any, focused on outreach in general. I have not put much effort into growing this blog, and maybe I really should. On analytics in general, between followers, searches and direct referrals, I generally run 500 to 700 hits per post, with a consistent increase over the two year period. You can easily increase hits with blog tags. I posted one entry with the title of Measuring Program Success and soon realized that I unintentionally hit on a key search engine phrase. That single post accounts for 20% of all of this blog’s hits ever! So it is not difficult to drive traffic to your blog, but what does the reader find once they get there? To tag every post with “Measuring Program Success” would dramatically up the blog hits but also seems the equivalent of spamming. What is more important than growing the number of hits is staying on topic. At first, I was surprised by the limited number of comments made to my blog posts. For most posts there are no comments. The 120 or so comments received over a two-year period are from about 50 of the posts. But . . .
a rather pleasant surprise from the past two years is the amount of interaction/networking I have done with others in my field I have met through the blog, none of whom commented on a post. For example, I routinely run into or receive email from colleagues and friends who in-person comment on specific posts, or note that they enjoy the blog. Excerpts from three of my book reviews are cited on the publisher’s website. The websites of professional organizations and individuals link to this blog. Of particular interest to me has been the role of blogs in academics. One might expect a tenure and promotion committee to dismiss the energy I expended in the 70,000 or so words I have written for this blog to date – noting that amount of words would constitute at least 3 peer-reviewed articles in top line journals. Peer review publication is supposed to be the primary indication that the colleagues in one’s given field acknowledge the suitability and worth of your scholarship for publication. However, as Mr. Dylan noted The Times They Are a Changing. The change in academia is reflected in a recent article on the importance of academic blogging in general and for the dissemination of research. My blog posts to date resulted in invites and publication of two peer-reviewed articles and appointments in the professional organizations to which I belong. In this new reality, blogs also become an indicator of scholarly research. Finally, I really enjoy writing this blog – the dialogue and ideas that result. That dialogue is also the reason that I enjoy the classroom setting – the opportunity to engage with students and get their good ideas. So on the assumption that blogging does not go the way of My Space, Geocities, and Friendster, I look forward to putting together another 101 posts. Without a doubt, my favorite book of 2011 is Letting Go? 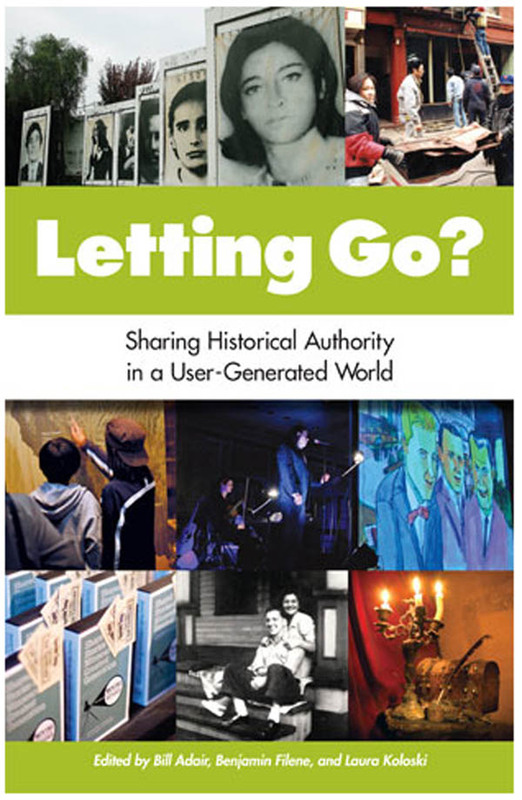 Sharing Historical Authority in a User-Generated World edited by Bill Adair, Benjamin Filene, and Laura Koloski. The book liner notes read that ” Letting Go? investigates path-breaking public history practices at a time when the traditional expertise of museums seems challenged at every turn – by the Web and digital media, by community based programming, by new trends in oral history, and by contemporary artists.” The book is divided into sections or themes, each containing a diverse set of thought pieces (method and theory), case studies, and conversations (application dialogues). The authors are leading authorities actively engaged in their subject area. Letting Go? is a very applied presentation. The first theme Virtually Breaking Down: Authority and the Web opens with an essay by Nina Simon that states the essence of her Participatory Museum model in a concise and convincing way, using several new examples to illustrate her points. I found the brief essay fine-tuned some arguments in her published volume. I suspect that for those new to Simon’s Participatory Museum, the essay will spur them on to read her book. Simon’s thought piece is followed by Steve Zeitlin’s case study, City of Memory, based in New York City. Next is a conversation with Bill Adair and Matthew Fisher that considers the problems and potentials with public engagement in online art museum projects and an oral history/video project in Philadelphia. 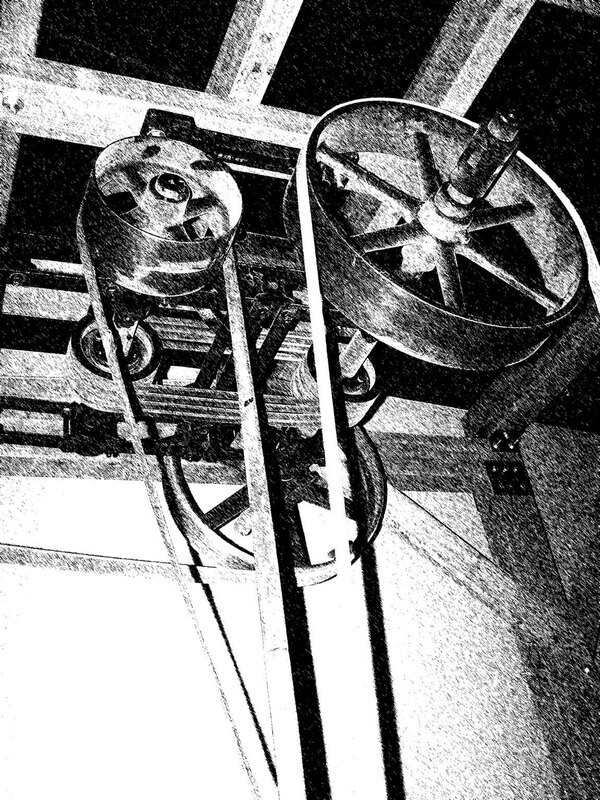 The final essay in the section by Matthew MacArthur takes up the role of objects in the digital contexts. A strength of this section, and all the sections in the book is the reflective nature of the pieces. In a most refreshing way, all the authors consider the shortcomings, problems, challenges, and opportunities of their own digital or participatory contexts in a user-generated world. The second theme Throwing Open the Doors: Communities as Curators features a provocative essay by Kathleen McLean on the multiple expert and visitor voices. She concludes her essay with “We need to find way to bring the museum’s expert knowledge into conversation with the people who attend our museums – people who bring with them their own expert knowledge” (p. 79). The section is rounded out with a conversation on the diologic museum, a multi-generational family film project in Minnesota, and a conversation based on the Brooklyn Historical Society’s efforts to have community curated exhibits. The third theme of the volume addresses popular oral history projects such as Story Corps. A thoughtful essay by Tom Satwicz and Kim Morrisey assesses the challenges, limitations, and potentials of the reality of public curation from trend to practice. Perhaps one-third of the volume considers essays dealing with fine and performance arts not related to the focus of this blog. However, the essays and conversations provide much that is simply good to think about regardless of the specific field of application. I found the volume particularly refreshing in that all the contributors accept that there are lots of unanswered questions, false starts, and simply wrong turns in the “sharing authority” process of this “user-generated world” in which we now all operate. The authors do not take on Messianic tones in their presentations, rather, provide thoughtful discussions of their experience in engaging the public’s user-generated voice. If you are grappling with how to incorporate the authority of the many voices that your institution serves, Letting Go? will give you plenty of directions to consider. I started out this post wanting to consider blogs in the same way I discussed Wikipedia last week – as a source or direction for research and scholarship. There is a good bit of discussion on this subject. A year or so ago I came across an interesting post by Molly Keener at Wake Forest University that reviewed the range of responses to the research potential of blogs. More recently, is an interesting post on the use of blogs in the Tenure and Promotion process at universities. A significant difference between the two is that blogs are more creative, more opinionated, and less encyclopedic than Wikipedia, though both forms rely on the same user-generated content. Not recognizing this distinction is another flaw in Keen’s basic thesis of the Cult of the Amateur referenced previously. In addition to scholarship, I have found that blogs are an excellent means for disseminating and receiving information, creativity, and ways of thinking outside the box. That is how I perceive the Archaeology, Museums and Outreach blog. In the first post I noted that my intent was to provide a platform for folks involved in archaeology and museum outreach to consider what works and what does not work. I do not know of any other regular media resource that addresses this area. This past week at the C.H. Nash Museum, we launched a new blog, Chucalissa e-Anumpoli. We see the new blog as filling a need that is not addressed by any of our other forms of communication at the C.H. Nash Museum. Career Networking – Much like Linked-in, although on a less redundant and more user-friendly level, blogs such as the Emerging Museum Professionals act as a vehicle for collaboration. The blog solicits input from others, irregularly issues posts of interest to folks new to the museum field on topics such as interviewing for career positions, skill development, and regional meet-ups of like-minded people. Trends – The American Association of Museum’s Center for the Future of Museums blog and the associated weekly Dispatches from the Center for the Future of Museums are phenomenal resources on trends in museums. The Dispatches does for me what I hope my blog does for others – provides information and resources relevant to a field of interest but that are outside the regular box and expertise of operation. For example, the Dispatches provides links to the latest trends in philanthropy, demographics, and tourism that are important for me to stay on top of, but are outside the scope of my normal range of reading. Institutional Information – I really like the Museum Bulletin the Alaska State Museum publishes as a regular blog. The publication is very outreach oriented, and reports the activities, acquisitions, internships, and events at the Museum. The Museum use WordPress.com to “blog” their newsletter. Were this an e-newsletter type communication that requires buy-in registration, I likely would not have come across the publication. The Brooklyn Museum’s blog is another institutional publication that is quite creative in their posts. See for example the Brooklyn Museum’s split-second basis project for selecting pieces of art to display. Teaching/Research Interest – This type of blog is like finding that interesting book on the library shelf that works as a bonus supplement or even points one down a new road in preparing for a lecture or research. For example, today I got the latest post for Museum Beyond that reviewed the Tate Museum’s new Race Against Time app for the iPhone – not a terribly glowing review either. Also, Jennifer Carey blogged this week from the Independent School Association of the Southwest’s Annual Meeting. Her final post was on the presentation by Jane McGonigal author of Reality is Broken. Jennifer provided quite a few related links from the presentation. Between the two blogs and the Wikiversity entry I noted from last week, these will likely find their way into my syllabus next fall for the honors course I will teach on gaming for social good. Just Plain Interesting – Today, Katrina Urban’s NewMuseumKat blog posted a review and link for a virtual visit to the Anne Frank house in Amsterdam. The website is a convincing example that counters the Luddite rant against the concept of virtual museums. One should not need to travel to Amsterdam to experience the house, albeit remote. Kris Hirst’s long running archaeology blog at about.com has short nuggets of information about the latest goings on in archaeology. Here is my punch line – all the above resources provide real and worthwhile information that is not readily (or at all) available in the traditional media. Contrary to Keen’s dire warning in the Cult of the Amateur of a future where “The monkeys takeover. Say good-bye to today’s experts and cultural gatekeepers – our reporters, news anchors, editors, music companies, and Hollywood movie studios. In today’s cult of the amateur, the monkeys are running the show. With their infinite typewriters, they are authoring the future” (p. 9). 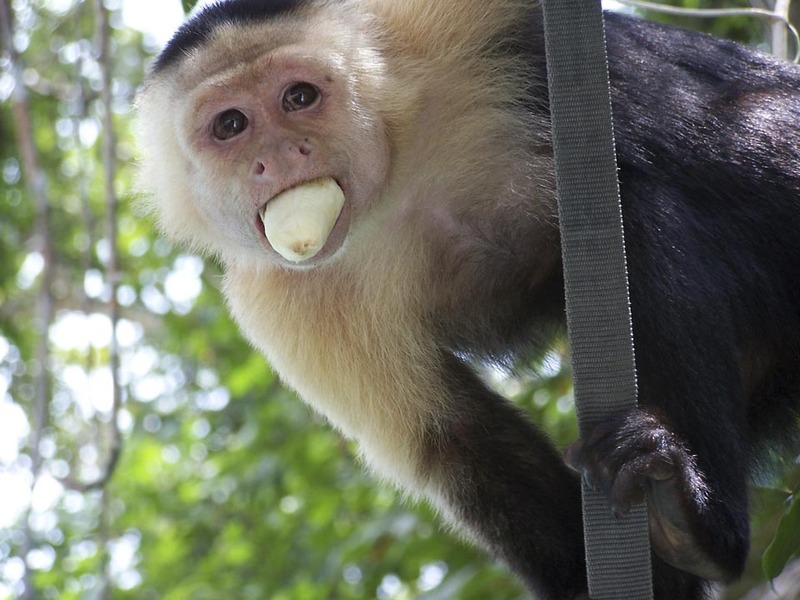 I can only respond – and what a fine job us primates are doing!! At the end of my graduate seminar this past semester, I suggested that while I did not as a whole consider Wikipedia a “scholarly” resource for citations today, it was certainly a good starting point to search out relevant references. I proposed that five years from now, the next iteration of Wikipedia might prove to be a legitimate scholarly resource, citable in papers in the same way survey textbooks are today. That class discussion prompted me to pull a book that had sat in my “to read” stack for the past couple of years – The Cult of the Amateur by Andrew Keen. His thesis is that Wikipedia, YouTube, etc. are the breeding grounds for amateurs to spread their misinformation, contrasted to the high standards of traditional professional journalism and scholarship. I hoped the book would give an alternative to my classroom advocacy of such online venues as tools for engagement and dissemination of information. I read the Introduction and Chapter 1 and was greatly disappointed. When I got to page 48 and read Keen’s rant against the “citizen journalist” reports from Hurricane Katrina in 2005, I realized he writes from an elitist and Luddite perspective. My interest in this discussion is from the perspective of whether such online resources are at least starting points for valid and reliable research information. This week my Applied Archaeology and Museums class, will discuss plans for their first class project. Students will prepare written papers on repatriation of the Elgin Marbles. We will then have an in-class debate on the pros and cons of the Elgin Marbles repatriation. I looked at the Wikipedia page for the Elgin Marbles. After spending 15 minutes clicking through the various links on the page, I realized it would simply be stupid of me not to point students toward this as a first resource for the class project. Check out the page. I think you will agree. The page simply is not the idiocy Mr. Keen rants against. In a recent blog post Jennifer Carey links to a list of 15 resources for free scholarly information. I was particularly intrigued by the Wikimedia Foundation’s project Wikiversity that is “devoted to learning resources, learning projects, and research for use in all types and styles of education from pre-school to university, including professional training and informal learning. We invite teachers, students, and researchers to join us in creating open educational resources and collaborative learning communities.” Sounds exactly like the nightmare Mr. Keen wrote about. Here is what I learned about Wikiversity in 15 minutes of clicking. Wikiversity has some well-developed modules, principally in the hard sciences. I am preparing for a special course this coming fall flowing from Jane McGonigal’s book Reality is Broken: Why Games Make Us Better and How They Can Change the World. Through Wikiversity I found that this spring a module Political Simulations and Gaming is being created through the Department of Board Game Design at the University of Westminster. I will check back in a few months. Seems a great potential resource. The naysayers such as Keen are like the Ottoman Empire in the mid-1400s who issued a death sentence for those using the Gutenberg printing press. (I got that info from a scholarly reference cited on a Wikipedia page.) Wikipedia and other online user-generated resources have the same range of quality as the “professional” community. As with the Gutenberg’s press in the 1400s, Wikipedia and other user-generated resources will continue to grow as new technologies. In just a few years, Wikipedia has quite admirably raised the bar of their quality. Such user-generated resources are effective tools for the types of engagement that archaeologists and museum professional strive in their outreach efforts to the broad public we serve. Try this – go to Wikipedia and search your favorite archaeological or museum something – whether NAGPRA, Hopewell Culture, Metropolitan Museum of Art, The Field Museum of Natural History . . . Then ask yourself, is this good user-generated information for the public to have ready access? If it is, that’s great. If not, perhaps you should use some of your own expertise to user-generate some content! How do you use Wikipedia or other online sources in your work? A concern expressed by museums for presenting collections online is that the practice will reduce museum attendance. On the surface, this argument is rather self-serving and suggests an institution’s real purpose is not their mission statement but to maximize real-time visits. The Museums and Society 2034 report from the American Association of Museums noted that “According to research by the Institute for Museum and Library Services, 43% of museum visits in 2006 were remote, predominately via museum websites.” Of course, the report predicted this trend will increase and argued that remote visits can serve as a vehicle to drive more people to visit real-time. Less scientific, but rather instructive, during the last meeting of my Museum Practices class this semester, I asked “Does any student know of, heard about, or can you cite any instance where an individual did not visit a museum because they had experienced the collections online? Have any of you canceled your trips to Amsterdam because the Google Art Project has placed so many of Van Gogh’s paintings online?” Of course the answer was an emphatic NO to the latter question, and no one could point to an example of the former. As a general statement, the strident position of seminar students five years ago in opposition to the concept of a virtual museum today is considerably more moderate. In 1998 Carol McDavid created a groundbreaking website for archaeology at the Levi Jordan Plantation, the place where a “plantation was built in 1848 by Levi Jordan, his family, and the people who worked for them as slaves and, later, as tenant farmers and sharecroppers. This web site attempts to discuss the lives of ALL of these people, and covers a period from 1848 until about 1888-1890.” Although rather crude by today’s standards, and in an exchange with Carol last year, she was somewhat surprised that the site was still live, the experiment provides a model for the future. Scanning the Table of Contents for the website shows the considerable amount of information placed online. Were one interested in cursory information or detailed scholarly research the Plantation website would be a first stop. A modern version of the Levi Jordan website is in place for New Philadelphia site in Illinois. The website notes that ” New Philadelphia was founded by Frank McWorter, a free African American, in 1836. Shortly after purchasing his freedom from the estate of George McWhorter, Frank invested in acquiring land in a largely undeveloped area of Pike County, Illinois . . . He and his family moved to Pike County in 1830. . . and legally registered the town . . . New Philadelphia was the first town established by a free African American before the Civil War.” The wealth of data available on this site is truly outstanding, including a full set of archaeological fieldwork reports, something reasonably unheard of in the past and even today. Along with census records, newspaper archives, descendent genealogies, surveys and maps, as with the Levi Jordan Plantation, the website created for New Philadelphia is a first stop for both in-depth research or casual interest. Here is the punch line for me on both archaeological sites as cultural heritage venues – I first learned about each of them in the book Archaeology as a Tool of Civic Engagement edited by Barbara Little and Paul A. Shackel. After reading the book’s articles about these two locations, I tracked down the above websites. I have never visited a museum at either of these locations because none exists – all readily available documentation is in either published articles or online. However, movement toward museums or other cultural heritage institutions is in process at both Levi-Jordan Plantations and at New Philadelphia. Arguably at both of these sites, the very presence of a robust internet presence argues for a significance that will support their future development. Were it not for the Internet presence, to me, both of these locations would fall into the long ago and far away category. Levi Jordan Plantation and New Philadelphia are two examples where the virtual presence will be instrumental in generating the exposure and support for movement toward a real-time presence in whatever form that might take. The New Media Consortium Horizon Project has just published their 2011 Museum Edition as a free pdf download that “is a co-production with the Marcus Institute for Digital Education in the Arts (MIDEA) and examines emerging technologies for their potential impact on and use in education and interpretation within the museum environment.” The report begins with an executive summary followed by “Time to Adoption” discussions of different technologies. For example, under the Mobile Apps heading are the following discussions: Overview, Relevance for Museum Education and Interpretation, Mobile Apps in Practice, and Further Reading. Of particular value, each technology discussion includes links to many live examples. This publication is an excellent resource for investigating the potential of digital outreach. The Future of Museums and Libraries: A Discussion Guide published by the Institute of Museum and Library Services in 2009 is one of my favorite think pieces. The 30-page free pdf download has nine discussion themes such as building sustainable institutions, evaluating program impact, and sharing authority with the public. Each theme contains real-time examples and discussion questions that are as relevant to the small county museum as to the professional organization evaluating their outreach program. I am using this document as the basis for the final exam in my Museum Practices graduate seminar next week. In a similar vein the Center for the Future of Museums site has several excellent reports on current and future trends. The 2008 Museums and Society 2034 discusses demographic, economic, communication, and cultural forecasts. Each section includes proposals on how museums must evolve to meet these shifting trends. The 2020 report Demographic Transformation and the Future of Museums focuses specifically on ethnic demographic trends in the United States and the need for museums to shift their orientations to serve the evolving public. Both reports are available as free pdf downloads. The Society for American Archaeology’s Archaeological Record is a fantastic resource for exploring different outreach themes of the discipline. I previously posted about the Careers Issue of the Record. Other themed issues of interest include a history of archaeology in the media and applied archaeology curriculums, Published five times per year, the magazine is available as a free pdf download. Kevin Smith at Middle Tennessee State University provides a prime venue for archaeology outreach with the Tennessee Archaeology journal. Each issue is available as a single free pdf download. Although I am certain formats will continue to evolve through time, the journal is in the vanguard in providing a readily accessible public resource for the types of archaeological reports that either never make it beyond conference proceedings or are buried in hard to find regional journals or Cultural Resource Management Reports. Tennessee Archaeology is a step forward in the discipline’s need for public accountability. For one stop preservation and conservation needs you cannot beat the National Park Service for their Tech Notes and the three-volume National Park Service Museum Handbook, all free pdf downloads. The latter is of particular value as a comprehensive “reference guide on how to manage, preserve, document, access and use museum collections.” I find these publications ideal to assist interested lay persons in preserving family heirlooms and other privately held cultural heritage objects. The straightforward style of these reports provides an excellent opportunity to educate the public on stewardship issues. The proceedings from the 2011 Museums and the Web Conference held in Philadelphia this past April are accessible on-line in a variety of formats. With sessions covering topics such as data storage, gaming, organizational changes, e-book publishing, the proceedings provide current thinking on a range of museum online issues. Some of the online resources are typical conference paper texts, others link to Slideshare PowerPoint files, and others link to institutional websites that host not just the presentation but related materials as well. The above list just scratches the surface of available online downloadable resources for Outreach efforts in archaeology and museums. What other downloads have you found particularly useful? Got myself an iPad a couple of weeks ago so I am now learning about the mobile app business. I have to confess that the biggest draw for me in taking the iPad plunge was to use a music/sound making app called Reactable. At the same, I sufficiently rationalized the iPad’s portability and work applications as factors to justify the cost. To dutifully follow-up on the rationalizations, I went to the App Store and searched on Anthropology, Archaeology, Museums to see what all was out there. There is a good bit of cool stuff. You can tour Roman-era London via the Londinium app produced by the Museum of London, explore the Please Touch the Exhibit app from the Melbourne Museum, view fine art in the Philips Collection multimedia app based in Washington D.C., and on and on . . . There is a good bit of museum and archaeology app stuff out there. But are these apps the latest fad, toys, or what? As is often the case the American Association of Museum provides a good summary overview text on the subject. Mobile Apps for Museums: The AAM Guide to Planning and Strategy edited by Nancy Proctor is a good place to start investigating the applicability of these new mobile applications. Proctor is the Smithsonian’s Head of New Media Initiatives. Robert Stein’s essay “Mobile Content Strategies for Content Sharing and Long-Term Sustainability” deals with the compatibility of museum apps across time and space. He reports on a paper he and Proctor co-authored at the 2011 Museums and the Web Conference that addresses this issue and references the TourML wiki as a source for ongoing dialogue. The upshot of the article is recognizing the importance in the early stages of app development that there are industry standards to assure the production of quality and interactive products. Kate Haley Goldman’s essay “Understanding Adoption of Mobile Technology with Museums” is an important first read for anyone considering mobile apps in museum settings. Goldman astutely observes that “for institutions already using mobile interpretation, encouraging visitors to use the mobile interpretation was the largest challenge. Yet for others – vendors and researchers, as well as those considering projects – attracting new visitors via mobile was a primary goal. This disconnect represents a great opportunity for future research” (p. 67). Goldman speculates that part of the disconnect comes from the validity and reliability of the visitor survey measures. She argues for visitor based longitudinal studies to help clarify the issue. This understanding echoes Clay Shirkey’s concern that internet technology must be relevant to existing behavior. Jane Burton’s essay “Playful Apps” provides another layer of insights as the relationship of the museum user to museum apps. She notes that you can explore physics by playing Launchball from the Science Museum of London or learn about human origins by visiting Meanderthal from the Smithsonian National Museum of Natural History. She cites Flurry, a San Francisco based smartphone analytics firm report, in noting that “studying the U.S. mobile gamer, we note that she earns over 50% more than the average American, is more than twice as likely to have earned a college bachelor’s degree, and is more like to be white or Asian” (p. 74). Like Goldman, she finds that conventional wisdom on app adoption and use in museums might be suspect and counter the conventional wisdom of the typical app user. The collection of essays provides an excellent starting point and balanced overview for anyone wishing to get beyond the immediate must have hype or the flip side of too quickly dismissing the use of mobile apps in museum or archaeology public engagement efforts. However, except for an essay on mobile apps at the Minneapolis Institute of Arts, no author in the volume considered in a substantive way whether the apps actually fit in with the mission of the museum or organization. Proposals for adopting such new technology that are thoroughly enmeshed in the mission of the institution will allow justification of the high cost of app development and equipment often needed to operate the systems. Otherwise, nay sayers (and funders) may argue that we are just jumping on to the latest interpretive fad. What is your experience with mobile apps? Museums: Online, Real-Time, or Both? A couple of years ago there seemed to be a sharp divide between proponents of online vs. real-time museum experiences. Now the online museum experience is accepted as here to stay. I was surprised at the lack of hostility from the museum world toward the Google Art Project. Having gotten past the knee-jerk position of taking sides in the online vs real-time debate, the discussion now focuses on how the two experiences complement each other. 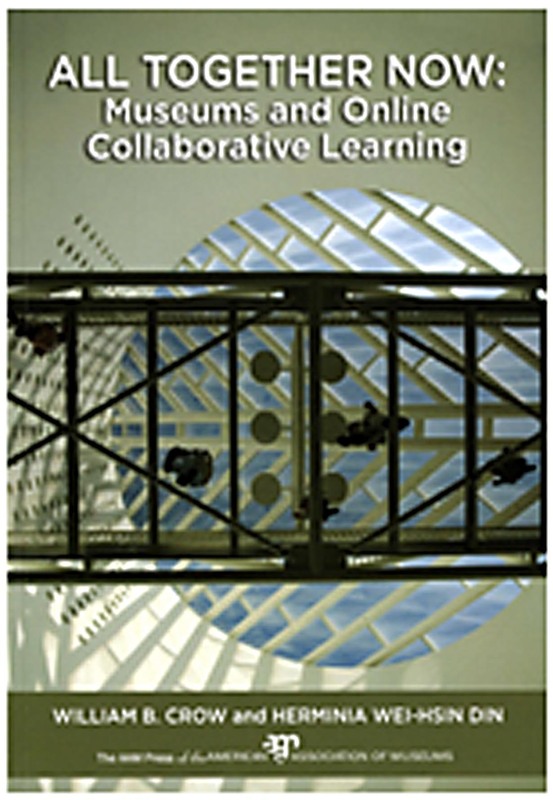 Such is focus of All Together Now: Museums and Online Collaborative Learning by William B. Crow and Herminia Wei-hsin Din, published this year by the American Association of Museums (AAM). We see these changes and innovations as terrifically exciting – not as a celebration of the new media and technologies themselves, but for the possibilities they offer people. As we shift from the Information Age to the Collaboration Age, these new technologies offer people the ability to work together in ways that simply weren’t possible even 15 years ago. And, although museums draw strength from their unique physical collections and locations, they also now see themselves as digital collections and communities, located in an increasingly global world (p. 6). A highlight of the book is the substantive case studies that review the methods, successes, and challenges of the online collaborative process. The case studies include the Smithsonian Commons project, San Diego’s Balboa Park Cultural Partnership of 26 institutions, and other projects both large and small. The case studies are particularly valuable in that they give equal balance to what worked, what did not work, and future directions. The message of All Together Now is consistent with that of Clay Shirkey who notes that it is not the media or technology that drives the behavior but rather enables existing interests. A distinct value of the book takes the collaborative process beyond the online experience to consider collaboration on an inter-institutional basis as well. Those who are just beginning to explore collaborative online learning will find All Together Now a useful model within which to start their discussions. For those who have already ventured down this road, the volume contains a framework to assess the efficiency of existing programs. For all readers, the book has a wealth of online resources to investigate additional online collaborative opportunities. The authors and case study contributors leave behind the debate of online vs real-time and instead embrace the collaborative reality that marks the current and future phase of museum outreach to the public we serve. This focus is consistent with the AAM theme for the 2012 Annual Meeting of the Creative Community. How are you moving your institution or practice toward online collaborative learning?